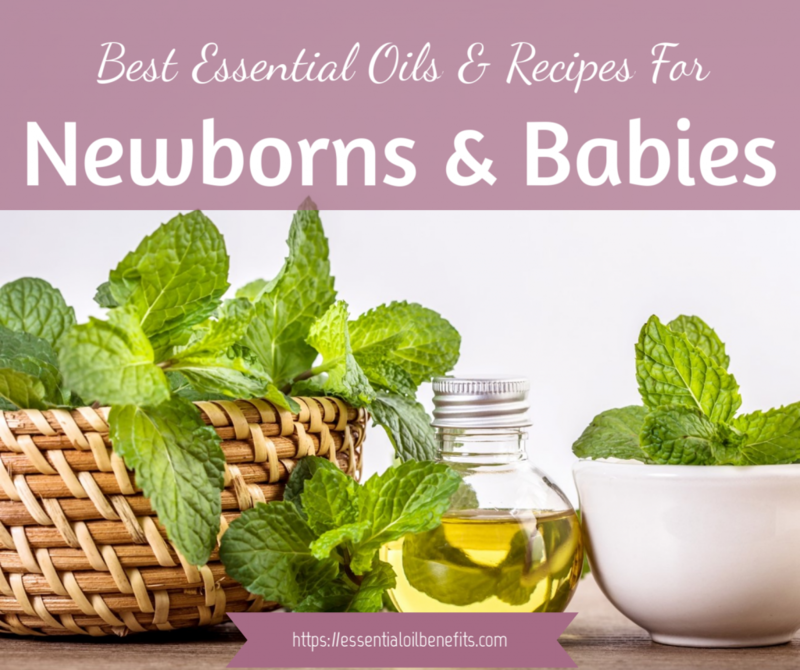 Essential Oils For Newborns And Babies: Everything You Need To Know! Did you know that September is the most popular birth month in the USA! You can lap up all the parenting books you want and even if you have been through the rigmarole once or more before, the fact is that nothing prepares you for the pangs of parenthood. It is pleasure and pain, frustration and satisfaction in equal measures! Those who are adding to their brood are more comfortable with the feeding and the burping and the soothing because they have done it before. First-time parents find even these simple tasks challenging for the first few weeks / months. Eventually, the newbies too ease into their role. But prior parenting experience or not, a few nerve racking constants prevail when you are handling a tiny being who is just getting used to the world outside the womb. The feeling of being overwhelmed by just how much has to be done; the irritation caused by fatigue; the crankiness attributed to sleep deprivation and anxiety are all part of the package for all parents. And believe me, you will need all the help you can get to handle not just the practical aspects of parenting but also the physical and the mental impact of all the work that you have to put in. As always, I am here to tell you that EOs can help, but I am sure you had already guessed that. 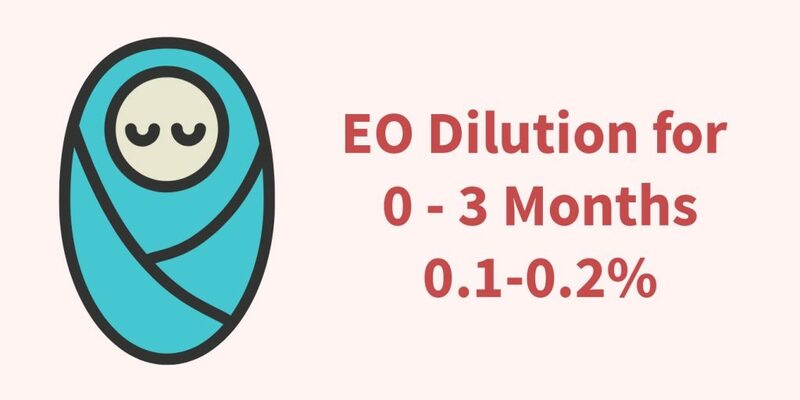 Now, the problem is that of the contentious topic concerning EOs, their use on newborns and children happens to be one. So, if you have read up on this, I bet you are already spooked out of your wits. But, fret not! Olivia is right here to separate the fact from fiction and the truth from the baseless tirade that invokes fear. 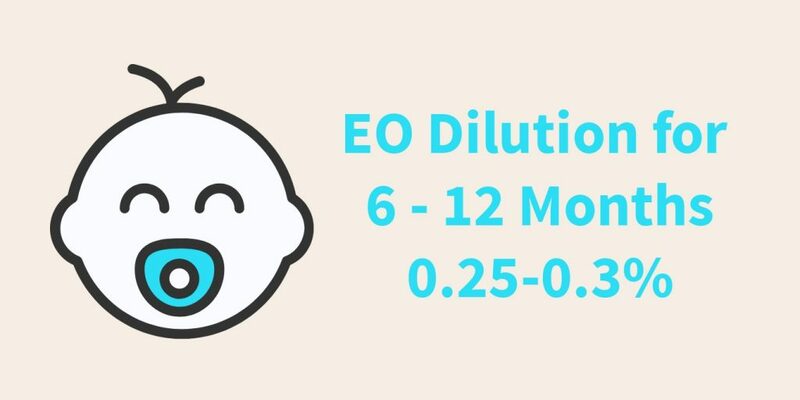 So today, I am going to answer all your questions about using EOs on babies but first let’s get to the starting point of this debate. Background: The Vapor Rub Disaster That Started The Trouble About Essential Oils! The argument about whether EOs are safe for infants or not has been brewing for a while but what truly added fuel to the fire was the discovery that Vicks VapoRub had the potential to cause life threatening harm to little babies. I bet this shocked the socks off most Gen-X and millennial parents like me, who still remember the soothing warmth of mommy’s chest rub coupled with the mentholated aroma or VapoRub that beckoned sleep even when a bad case of sniffles and cough had us in its grips. So what went wrong? Why did this product suddenly fall out of favor? Did they change the formula for a product that was endorsed by mom’s VapoRub? I’ll give you the story in a nutshell. An 18 month old girl was wheeled into the ER with symptoms of severe respiratory distress. The first line of emergency treatment, which includes steroids and rescue inhalers, failed to bring an improvement in her condition. Her grandparents reported that she had been suffering from a bout of cough and cold but was stable till they had used some Vicks VapoRub on her earlier in the day. They had applied the mentholated gel under her nostrils, following which, her condition deteriorated significantly and she had to be brought to the hospital. The ER resident sought help from Bruce K. Rubin MD, a lung specialist and professor of pediatrics at Wake Forest’s Brenner Children’s Hospital. Upon learning of how VapoRub was used on the child, Dr Rubin recommended that all other treatment be stopped and the child only be kept on supplemental oxygen, which would be enough to alleviate the adverse effects of a local irritant like Vaporub. Sure enough the treatment worked and the tot was sent home the very next day all hale and hearty. Because Dr. Rubin and his colleagues had seen 3 more kids suffering from a similar condition due to the side effects of VapoRub, they conducted a study involving ferret subjects and based on the observations concluded that VapoRub has the potential to do a lot more harm than good. On their part, Procter & Gamble, the manufacturers of the product said that the product was never meant to be used on children younger than 2 years of age. This led to a counter study, you could say, which was led by Ian M. Paul, MD. He is the director of pediatric clinical research at Penn State University and stepped up to the task both because P &G funded the study and because he was not convinced that on its own and if used as advised, VapoRub could cause so much trouble. The subjects of Dr. Paul’s study were 138 children in the age group of 2-11 years. It was found that the use of VapoRub provided symptomatic relief to children within 12 hours of use and improved sleep quality and duration not only for the kids but also their caretakers. WebMD brought in a third opinion, which came from Daniel Craven, MD, a pediatric lung specialist at University Hospitals Case Medical Centers Rainbow Babies and Children’s Hospital, Cleveland. So, why should this study matter at all to Essential Oil users? Well, because the problem with VapoRub was not the petrolatum used in the formulation but the active ingredients which are all EOs, more specifically, the essential oils of camphor, peppermint or menthol and eucalyptus. I had heard about basking in reflected glory, but drowning in reflected trouble! Although the medical community stood divided on the safety of VapoRub, there was clear consensus on the fact that the product should never be used on kids below the age of 2 years. And since the trouble caused by the mentholated gel was attributed to the essential oils (Eos) in it, everyone concluded that EOs are generally unsafe for kids. 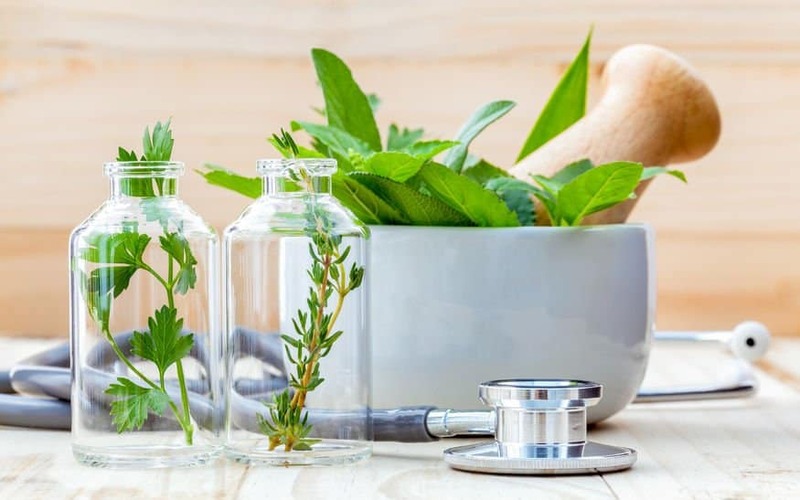 To add to the conundrum, MLM EO sellers vehemently refuted the claims, countering them with advice from herbalists and naturopathic doctors who were on their payroll. And as it always happens, every blogger jumped into the fray and started adding his/her mound of wisdom to an already confusing situation. Normally, I would be quick to shun the overly cautious views and often unsubstantiated and unproven views. But, there is another group of people whose approach stops me from doing so. These are parents who believe that they must use EOs on their babies to build their immunity and don’t shy away from oral administering EOs or using high concentration dermal blends on babies. Needless to say, the results are devastating and they add to the confusion and the fear that surrounds the use of essential oils in general. 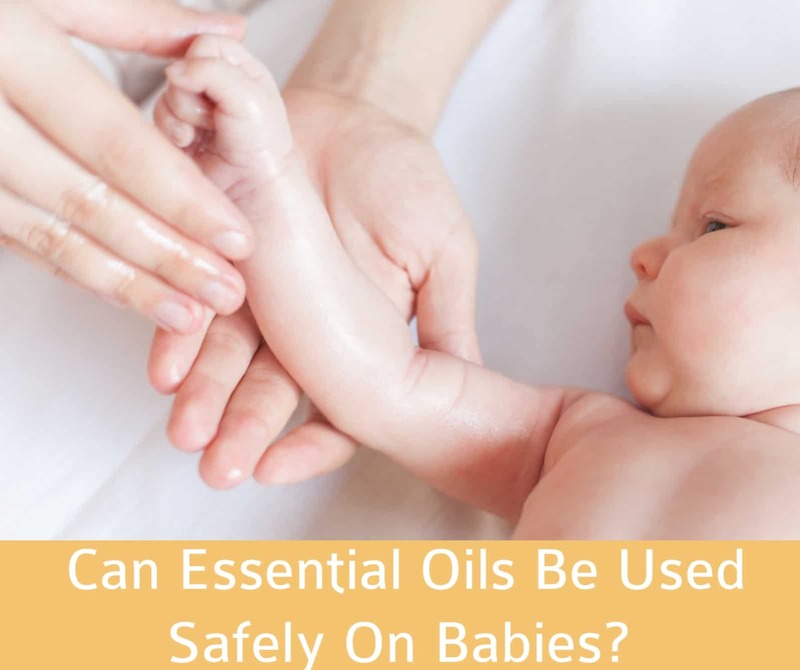 Can Essential Oils Be Used Safely On Babies? My answer may seem clichéd at least to those of you who have read some of my other posts on this site. But, I will say it again. Essential oils are effective and safe and can be used on all living beings, including on little humans, as long as you know how to use them and how much to use. It’s never the oils that are the problem. Look closely; I mean literally study every adverse situation that had EOs at their center, and you will find that it was always human folly or a mindless act on the part of the user that ultimately led to the trouble. So to answer that question – YES, you can use EOs safely on babies but only if you strictly follow the recommendations. Is There Really A Need To Use EOs On Infants? As parents that is up to you. I firmly believe that all mommies and daddies have a safety compass that helps them to steer their babies clear of danger. So, I won’t tell you whether or not to use EOs; that my dear readers is up to you. All I am going to say is that as a mother, I have always entrusted the health of my children to natural ingredients including EOs. I was very sure that I wanted to keep chemicals and synthetic drugs out of their bodies, unless they were absolutely needed. I echo the sentiments of Lucy (not Lucy Ricardo but Scarlett Johansson from the movie Lucy) who said, “Learning’s always a painful process”. Well, I say, “so is growing up”. Winters bring along sniffles and summers herald in allergies. Booboos lurk everywhere as they explore the world first on fours and then on twos and germs simply wait to attack. Babies and parents will need help as they go through all of that. Now, you can either choose to get this help from synthetic drugs or go natural. I chose the latter. Also, we all know that babies can be a bit temperamental and often the wails and nonstop crying starts right when you are getting ready to wind down. Sorry folks this is one of those rare situations in which you don’t get much help from Mother Nature. You cannot use EOs in any form on or around preemies. The enzymes that metabolize the compounds from EOs, herbs or synthetic drugs are in short supply in premature and very young infants. Also, the organs that excrete the metabolic waste may still be not be functioning at full capacity. So, even normally safe compounds may lead to an adverse reaction or may cause a health hazard because they are not removed from the body in a reasonable amount of time. In fact, for a preemie, the only way is to completely rely on the advice of your pediatrician. Tisserand and Young recommend that dermal application, if at all needed, should be limited to 0.1-0.2%, which is approximately 1-3 drops in 50 ml carrier oil. The only EOs that can be used are lavender and chamomile. They have not given information on diffusing these oils around infants in this age group. 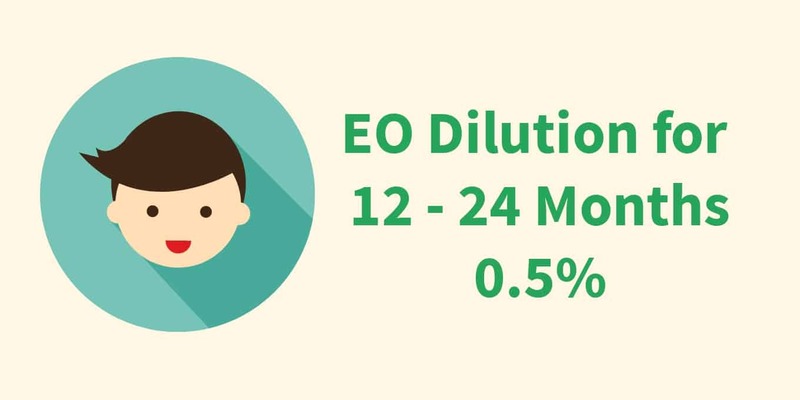 However, other practitioners do talk about diffusing a drop of an EO (usually one of the two) or keeping a basin of hot water below the crib with a drop of EO in it. First, let me tell you if this would be safe for a young infant. I certainly would not recommend diffusion, even if you are using a cold diffuser because diffusion in any form leads to the rapid release and dispersal of the aromatic molecules from the oil. This means that you will have a fairly high concentration of these compounds in the air, which may be too much for a baby to handle. That said, chamomile and lavender oils can be used around 0-3 month olds and the relaxing aroma of these oils does help to safely calm babies, as noted when these oils were used to soothe neonatal abstinence syndrome (NAS) babies. But, the intensity of the aroma needs to be lower than what you would get from diffusion. So, here are three ways in which I have used these oils to get just the right strength of their healing fragrance. A terracotta pendant works exceptionally well but make sure to hang it in such a way that your baby cannot reach it. If you have an old infuser (yes the kind used for infusing tea leaves), you can use it as your very own aromatherapy pendant for babies room. Pour a drop of the EO on a cotton ball and stuff it inside the infuser. Hang on the cot/crib near the baby’s feet. Add a drop of oil to a cup of hot water (not boiling hot but drinkable hot). Keep it near the window or in front of a small fan, the kind and size that is powered by a USB port. Just make sure that the cup is kept at least 4-5 feet away from the crib. Remember to only use one oil at a time. Lavender is great to soothe and calm babies due to its ability to impact serotonin levels in the brain. It induces sleep and is great for evening/night use. Chamomile works well to smooth frayed nerves and helps to balance emotions. So, if your baby is being a bit temperamental through the day, this is the oil to use. Don’t use more than 1 drop and make sure that whatever method you use, your baby should not be able to reach out to the piece of cotton wool or cup used. I would not recommend using the oils every day. But, they sure do help when munchkins are having a hard time dealing with an ailment or when you want to get them habituated to a sleep cycle. Take a break of 2 days after 3 -4 days of use if you intend to use them for a while. How do you keep their room free of allergens? This one is especially meant for autumn and winter babies. The cold weather can be hard on little noses. So, to make sure that you don’t end up with a viral infection, use lemon EO in this way. You will need 2 drops of lemon oil. Put into a 4 oz. spritzer bottle and fill it up with warm water. Spray all around the nursery but not on the crib, pillows, bedding or toys kept near the baby. Don’t use while the infant is in the room. Keep the door open and let the room air out for about 30-45 minutes before bringing the child back into the room. If I can’t use essential oils, can I use macerated oils instead? I do not recommend the dermal use of EOs on 0-3 month old babies unless it’s an emergency that involves oozing and/or infected rash, wound etc. However, there is no harm in opting for macerated oils. Infusing dried calendula flowers in sesame seed oil will give you a potent antimicrobial blend that can be used to deal with diaper rash, cradle cap and eczema. For maceration, fill a mason jar half way through with dried calendula flowers and top the dried material with sesame seed oil. Fill the jar all the way till the ¾ mark and then cover with the lid. You can either sun infuse or heat infuse the oil. Sun infusion is a natural method that works exceptionally well, but it is time intensive and it takes almost 3 weeks to get the final product. Most new moms don’t have that kind of time on their hands. So, I recommend you go with heat infusion, which gets the job done in 1 hour. Use a double boiler for the task. Fill it with the required amount of water and place it on the stove. Use the lowest heat setting. Place the mason jar filled with the botanicals and the oil in the double boiler. Make sure that the water does not come to a boil. After an hour of this, your macerated oil will be ready. You will see a distinct change in the color of the oil as the active ingredients from the dried flowers mix with the lipids. Take the double boiler off the stove and allow the water with the jar in it to cool to room temperature. Remove the jar from the water and wipe it clean. Let it stand undisturbed for another 2-3 hours and then open. Filter the oil to remove the dried flowers and store the macerated oil in a glass bottle/jar in a cool, dry place. Macerated oils typically have a shelf life of 4-6 months. Since you are using it on an infant, I suggest you make a fresh batch every month. To use this oil for skin infections and problems, dilute the macerated oil with any carrier oil of your choice in 1:1 proportion and apply as you would any antibacterial ointment or cream. Mix fennel and dill seeds in equal quantity and store in an airtight container. Use a teaspoon of this mixture to prepare a tea. Simply pour boiling hot water on the seeds and allow them to steep for 2 minutes to prepare the concoction. All it takes is one teaspoon of this tea given once or twice a day in milk or on its own to keep all types of tummy troubles at bay. In terms of dosage, there isn’t much of a change with the maximum limit going up to 0.25-0.3%, which is 3-4 drops in 50 ml of carrier oil. As far as the oils are concerned, you can also use lemon (distilled not expressed) along with lavender and chamomile. Although dermal use at this stage is sanctioned by Tisserand and Young, in my opinion, those wee bodies need just a few months more of adjustment time before you should use EOs on them. I maintain that macerated oils can be just as effective but safer than EOs, which should only be reserved for emergencies. That said, the method of diffusion and the one drop limit on the amount of EOs still stands. Take a look at how oils can help to make life easy for you and your baby. I have always been against the use of mineral oil and that is what most commercial baby oils contain. While mineral oil has no benefits to offer for the body or the skin, macerated oils are a long standing baby care tradition in Ayurveda. The one that is most favored is ashwagandha (Indian ginseng) macerated oil. This warming oil takes away the aches and pains of growing up and helps growing muscles and bones. You can find this oil online or you can make some of your own with Ashwagandha powder (method given above). To use, dilute the oil with any other carrier oil in 1:1 proportion. Start with the diluted oil to get the baby’s body accustomed to the herb. Gradually work your way up to 2 parts macerated oil to 1 part carrier oil by the time you get to the 12 month mark. The fennel and dill tea will usually be enough to keep gas and colic away. But if you ever need additional help, mix 1 drop each of lemon and rose EOs in 30 ml of sweet almond oil. Warm the oil just a bit and then massage baby’s tummy, around the navel, with the oil. Use gentle, clockwise strokes to ease abdominal pain and massage only for 30-45 seconds. Things get easier once your baby reaches his/her half year birthday. Mommies and daddies get used to the little man/woman in their lives and babies start getting the hang of the world around them and begin to enjoy its colors, sounds and offerings. You also get a greater choice when it comes to EOs. 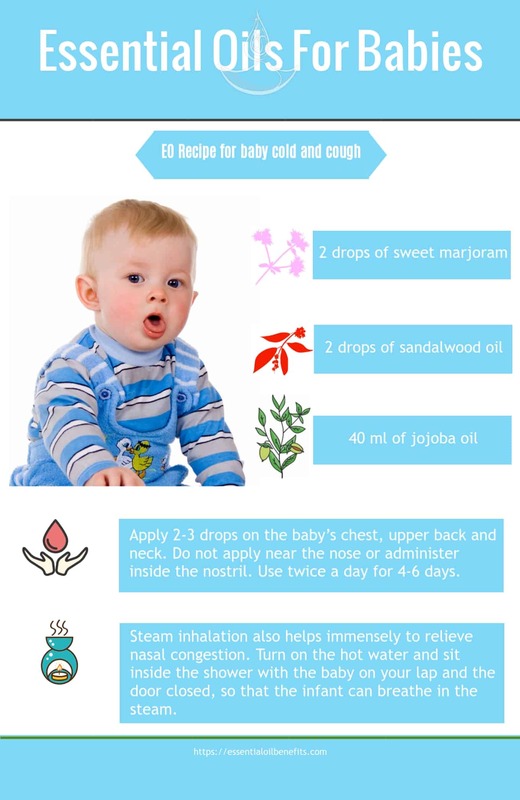 So, here is how you can use these aromatic extracts to deal with the many problems that may come your baby’s way. When you are dealing with an ear infection, nothing helps more than basil infused oil but you will need holy basil as opposed to regular basil. An extraordinarily potent antioxidant and adaptogenic herb, holy basil is another recommendation from Ayurveda for all types of aches and pain. Instructions for preparing the infused oil are as above. Add one drop of chamomile EO to 20 ml of the macerated oil. This anti-earache blend can be used in two ways. For the early stages of infection, use a drop of the oil to massage the area around the ears, particularly the soft part behind the earlobe. Gently massage the area in downward strokes going towards the neck. This helps to promote faster lymphatic drainage and has an almost immediate effect on ear pain. If you need more fire power, soak a cotton wool in this blend and squeeze out the excess oil. Place the soaked ball of cotton in the ear canal. But, do not push it too far inside. You should be able to easily remove the cotton ball out. Keep it in the ear canal for 30-45 mins. However, you need to be around your munchkin while administering this treatment. You do not want the baby to push the cotton ball deeper inside or to pull it out and try to get a taste of the white, soft material. This treatment is best used during nap time. In fact, combine it with the diffusion of soothing and calming oils of mandarin and chamomile. Mix these EOs in equal quantities and use the steam diffusion method (given above) with just one drop of oil added to a cup of hot water. Whether it is a diaper rash or any other type of skin infection, this blend will work its magic and kick out the germs. To make the blend, you will need 30 ml of jojoba oil and 1 drop each of lavender and sweet orange EOs. Rub a drop of the blend on the affected area. Use no more than twice a day for a period of 4-6 days. As a preventative measure for diaper rash, use a combination of 3 tbsp of shea butter, 1 tbsp of jojoba oil and 1 tbsp rosehip seed oil with 1 drop each of German chamomile, grapefruit and neroli EOs. You can make a respiratory support blend by mixing 2 drops each of sweet marjoram and sandalwood oil with 40 ml of jojoba oil. Store the blend in a dark glass bottle. To use, apply 2-3 drops on the baby’s chest, upper back and neck. Do not apply near the nose or administer inside the nostril. Use twice a day for 4-6 days. Steam inhalation also helps immensely to relieve nasal congestion. Turn on the hot water and sit inside the shower with the baby on your lap and the door closed, so that the infant can breathe in the steam. These DIY wet wipes are hygienic and safe and go a long way in helping to prevent skin infections. You will need a roll of high quality paper towels (not the cheap kind that is thin and chlorinated). Cut it in half and use an old baby wipes container for storage. In a bowl, mix 1 ½ cup of lavender hydrosol, 2 tbsp aloe vera gel (natural, not the store brought green gel) and 1 tsp grapefruit seed extract. In a smaller bowl mix 1 tbsp jojoba oil with 2 drops each of patchouli and lavender EOs. Mix the ingredients of the two bowls together. Whisk well and pour the liquid on the roll of paper towel. Rotate to ensure that all sides get soaked. Place it in the baby wipe container and use as you would regular wet wipes. For soothing and calming you can continue to use chamomile, lavender, mandarin and sandalwood; plus you can add neroli, sweet orange, lime and other citrus oils to the mix. For respiratory support, you have access to cedarwood (Juniperus virginiana), copaiba balsam (Copaifera officinalis), cypress (Cupressus sempervirens), fir needle (Abies sibirica), pine (Pinus Sylvestris), rosalina (Melaleuca ericifolia), juniper berry (Juniperus communis) and spruce (Tsuga canadensis). But, do not use these oils as a preventative measure. For minor wounds you can use antimicrobial agents like turmeric, frankincense that aids in healing and helichrysum for inflammation. For digestive support, you can use coriander, rose and dill. Here are a few ways in which to use these oils. To get rid of the notorious cradle cap, use 30 ml rosehip seed oil with 2 drops of geranium and 2 drops of petitgrain EOs. To deal with croup, make a blend by mixing 30 ml carrier oil with 2 drops sweet marjoram and 1 drop pine and 1 drop lavender EOs. Massage baby’s chest and back with the blend, bundle up and take the child out for some cold air. For fever, mix 2 drops each of lemon and lavender EOs with 30 ml carrier oil and apply on the chest, the forehead, the spine and the feet. For digestive troubles, mix together 1 drop each of coriander, rose and ginger EOs with 30 ml castor oil. Massage baby’s abdomen in circular, clockwise strokes for 30-45 seconds. For a cold, use a mixture of 2 drops lemon, 1 drop vetiver and 1 drop cedarwood EOs in 30 ml carrier oil. Massage 2-3 drops on the chest, neck and back. For cough mix a pinch of dried ginger powder or two drops of fresh ginger juice with a teaspoon of honey and use it is a natural cough syrup once before bedtime. Do not use oils that contain camphor, menthol and 1.8 cineole on or around babies. So, eucalyptus and peppermint are off limits till your child is past his/her 6th birthday, both for dermal application and diffusion. I also recommend that you stay away from spice oils such as those of clove, cinnamon and pepper as they can cause skin sensitivity. Ylang ylang is another oil that is known to trigger skin allergies, so don’t use it on the skin but you can diffuse it in combination with sandalwood for a general sense of harmony and peace in the house. When using citrus oils on your baby’s skin, make sure that you don’t end up using a phototoxic version of the oil. For instance, expressed lemon EO is phototoxic but distilled lemon EO does not lead to photo toxicity. Similarly, cold pressed sweet orange is non-phototoxic but you should not use steam distilled sweet orange EO on the skin. When using herb oils like those of oregano, thyme and basil, limit yourself to a concentration of 0.25% because all of these are warming oils. Do not use carrier oils derived from nuts, particularly if you have a family history of food allergies. A neutral oil in terms of viscosity like jojoba works the best. I also favor olive oil, rosehip seed oil and shea butter. Keep oils away from the nose, mouth and even the hands. The idea is to prevent accidental ingestion of the blend. If this means you have to cover the area of application with clothing, go ahead and do so. Cotton balls that are treated with EOs should strictly be kept out of reach. Do not use EOs in any form on toys because babies love to put these in their mouth. Do not apply clove EO to ease teething discomfort. Instead, use chamomile and clove (only use 2-3 clove buds) infused olive oil on the gums. Do not diffuse EOs in any way around kids who have respiratory sensitivities or suffer from asthma. Never put EOs or oils in general or any other liquid in the nostrils, unless recommended by your doctor. Watch for signs of intolerance towards a particular oil/scent. Although most people love the soothing aroma of lavender EO, some babies don’t take well to it and they may show signs of discomfort. In such a case, your best bet is to change the oil. Always and I cannot stress enough on this, always do a patch test before using a dermal blend. Apply a drop of the blend on the inside of elbow bend and wait for 24 hours. If you don’t see redness or rash, the blend is good to go. As you can see, essential oils can easily beat most chemical infused OTC treatments and even home cleaning products to help keep your baby safe and healthy. These oils can come to your rescue when you need help the most and even when there is no assistance on offer from modern medicines. The soothing and calming aroma of these oils not only helps the infant but also provides much needed support to the parents. While fatigue is a part and parcel of the equation, anger and irritation are unwanted side effects that can cause a lot of trouble. The good news is that the calming aromas that keep baby’s crying in check also tame the negativity of the adults in the household and the other toddlers that you may have running around. 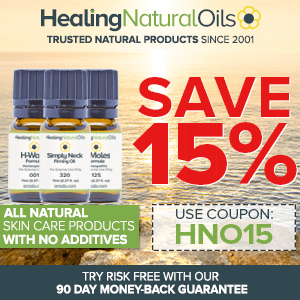 Didn’t I tell you that if used as they should be, there is simply nothing out there like essential oils when it comes to alleviating most of life’s nagging problems? So, go ahead and surround your baby with the gentle caring and warmth of nature that comes from EO blends. And on that note, here is wishing all babies, mommies and daddies a lifetime of fun, health, happiness and peace! Olivia thank you so very much for all your interesting articles I am saving and treasuring these articles. Appreciate if you could resend me the message as I don’t believe it was received. Enjoy your weekend too!